Since the 300's, this day has honored the meeting of the Three Wise Men with infant Jesus. King Cakes became part of the celebration to symbolize the "finding of baby Jesus". Traditionally King Cakes are oval-shaped to show unity of all Christians. 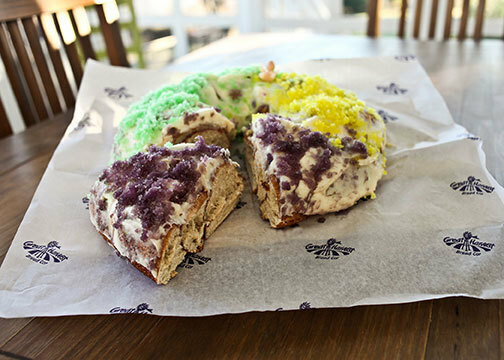 The Mardi Gras season which begins on this "Twelfth Night" (January 6th) is expressed on King Cakes by using the carnival colors of green (faith), gold (power), and purple (justice).